For readers of George Monbiot, Mark Cocker and Robert Macfarlane - an urgent and lyrical account of endangered places around the globe and the people fighting to save them. All across the world, irreplaceable habitats are under threat. Unique ecosystems of plants and animals are being destroyed by human intervention. From the tiny to the vast, from marshland to meadow, and from Kent to Glasgow to India to America, they are disappearing. 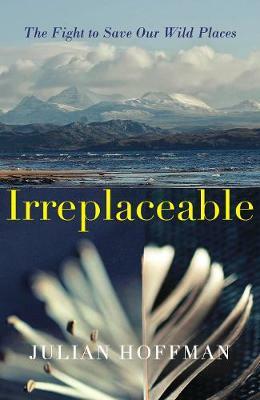 Irreplaceable is not only a love letter to the haunting beauty of these landscapes and the wild species that call them home, including nightingales, lynxes, hornbills, redwoods and elephant seals, it is also a timely reminder of the vital connections between humans and nature, and all that we stand to lose in terms of wonder and wellbeing. This is a book about the power of resistance in an age of loss; a testament to the transformative possibilities that emerge when people come together to defend our most special places and wildlife from extinction. Exploring treasured coral reefs and remote mountains, tropical jungle and ancient woodland, urban allotments and tallgrass prairie, Julian Hoffman traces the stories of threatened places around the globe through the voices of local communities and grassroots campaigners as well as professional ecologists and academics. And in the process, he asks what a deep emotional relationship with place offers us - culturally, socially and psychologically. 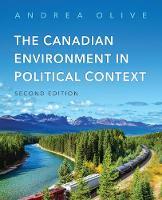 In this rigorous, intimate and impassioned account, he presents a powerful call to arms in the face of unconscionable natural destruction. Julian Hoffman is the author of The Small Heart of Things, which won the 2012 AWP Award Series for Creative Nonfiction and the National Outdoor Book Award for Natural History Literature. He was also the winner of the Terrain.org Nonfiction Prize and has written for EarthLines, Kyoto Journal, Beloit Fiction Journal, Briar Cliff Review, Flyway, Redwood Coast Review, Silk Road Review and Southern Humanities Review, amongst others. He lives in north-western Greece.